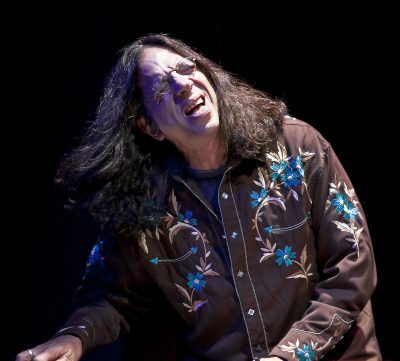 Keyboardist for the Gregg Allman Band, Bruce Katz, teams up with Rolling Stones’ keyboardist, Chuck Leavell to teach rock piano. Bruce Katz and Chuck Leavell have teamed up to share what they’ve learned over the years performing with rock’s superstars. Learn to play the way rockstars play! Bruce Katz is an internationally recognized performer and educator. As a performer, Bruce has played extensively in the Blues, Rock and Jazz idioms, appearing on over 70 albums and performing, touring and/or recording with Gregg Allman, The Allman Brothers, Delbert McClinton, John Hammond, Ronnie Earl, Jaimoe’s Jasssz Band, Duke Robillard, Little Milton and many others. He also records and tours with his own group, The Bruce Katz Band and has released seven albums as a leader. Bruce has been nominated for a Blues Music Award (BMA), four times for the “Pinetop Perkins Piano Player of the Year,” which is considered to be the equivalent of the “Blues Grammys”. As a teacher, he taught at The Berklee College of Music in Boston for 14 years (1996-2010), teaching private lessons, theory and ensembles. He also teaches privately and has led master classes and clinics at schools and festivals around the world. Bruce Katz teaches piano and Hammond B-3 organ. Private online lessons are great if there is a particular song, technique, or style you would like to learn. Maybe you simply need some licks for jamming with your band! Bruce will step your playing up to the next level. Click here to take a lesson with Bruce. Bruce will contact you directly to schedule a time for your lessons.